For most companies, entrepreneurship tends to be associated with the company’s early years – a lively period when leaders with bold ideas flourish, taking their firm to undreamed heights. It’s a special period, but it seldom lasts. Over time, this spirit slowly fades, never to be recovered. But it doesn’t have to be this way. Occasionally, a company will enjoy a renaissance as a rare leader pilots a faltering older company to a new period of success. In Re-entrepreneuring: How to combine an organization’s strengths with the start-up mindset (Bloomsbury, 2018, by the Partners of Roland Berger, edited by Charles-Edouard Bouée and Stefan Schaible), the Roland Berger Partners make the case that these kinds of second-wave successes are often not a fluke but the result of a deliberate strategy. The truth, the corporate strategists have concluded, is that these mature enterprises succeeded by taking a series of steps that set them on an exciting new path to renewed vigor and profitability. "Obsolescence is a choice. By seeing the world through fresh eyes and giving employees the freedom to re-imagine their business, a company can open itself up to an exciting new era." In normal economic times, this thesis might have limited economic value. Traditionally, the mature company’s role was to preserve its advantages, not take on new risks. However, in this era of fast-paced global change, a defensive game is often no longer an option. Companies in many sectors find themselves threatened by disruptive competition. The era of aging gracefully is over; in industry after industry, Roland Berger’s Partners argue, only the entrepreneurial will survive. 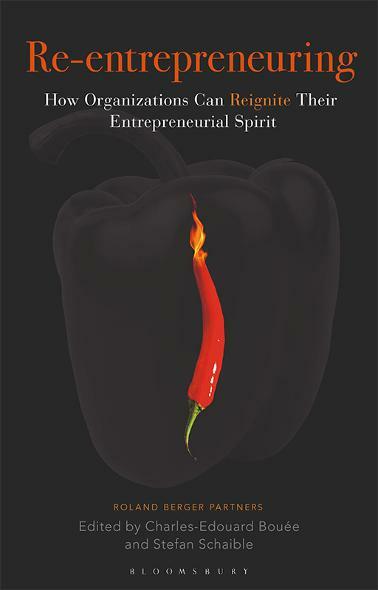 In this short book, the Partners examine how the leaders of a few exceptional organizations revived their firm’s latent entrepreneurial instincts and built an exciting new business out of a threatened older franchise. 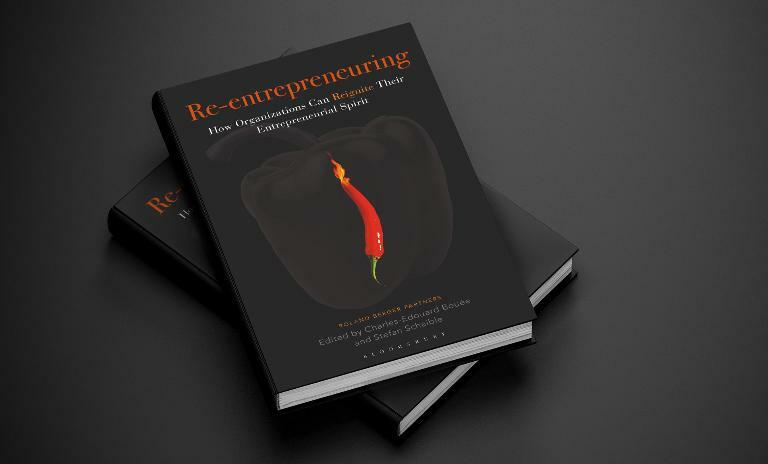 Re-entrepreneuring involves the powerful interplay of two seemingly opposing forces: the strengths, assets and experience of a large established organization that have been honed over time with the entrepreneurial mindset characteristic of start-ups. Readers will learn how through this process, which the Partners dub re-entrepreneuring, companies in a variety of industries have turned themselves around. In case after case, the authors show, obsolescence is a choice. By seeing the world through fresh eyes and giving employees the freedom to re-imagine their business, a company can open itself up to an exciting new era.  "Companies in many sectors find themselves threatened by disruptive competition. The era of aging gracefully is over; in industry after industry, Roland Berger’s Partners argue, only the entrepreneurial will survive." The book contains a total of ten chapters. To give you a first impression, we have summarized them for you. Companies often lose their way over time, and seldom find it again. The systems managers put in place to preserve and protect the core business begin to ossify, blocking adaptation to a changed business climate. Re-entrepreneuring breaks that downward spiral by taking a step back to take a good look not only at where you are but where you’ve been. In this chapter, we look at how the travel giant TUI reinvented itself several times in its first hundred years, evolving from a bus tour company in the 1930s to a packaged tour company in the 1950s and in the early 2000s, to a provider of specialized tours targeting travelers with particular interests. Not all acts of re-entrepreneuring involve reaching back to the beginning. Sometimes a major corporate event, such as a merger, can be used to reignite the entrepreneurial impulse. In this chapter, we look at how bibliotheca’s purchase of 3M Library Systems served to bring new life to both companies because of a commitment by bibliotheca to bring the best out of both cultures. The privatization of Deutsche Post proved to be a similar opportunity, as managers cultivated entrepreneurial instincts that had previously little place in the postal service’s traditional culture. In both cases, the key to their success was the conscious replacement of “business as usual” management with an entrepreneurial frame of mind. Chapter 3: New configurations, new beginnings. Often, when forced to restructure, organizations make overly conservative decisions. Cost-cutting may stave off disaster, but it usually does not address the core issues that led to the original crisis. In this chapter, we look at situations where managers turned the requirement to restructure into an opportunity for re-entrepreneuring. We looked at the approach Ford of Europe took in 2015 to restore its profitability by focusing on its most profitable product lines; at how a dynamic CEO at Zain KSA, an upstart telecom in Saudi Arabia, managed to transform a perennially unhealthy company into one of the Gulf’s most promising telecom companies. We look at how a pioneering German solar power manufacturer, faced with fierce new competition from China, refocused its business away from panels and toward higher-value components, then at how bauMax, an Austrian home improvement store, recovered from an over-expansion by focusing on its fundamental strengths. Finally, we look at that comparatively rare situation when the world has changed and there really is nothing to be done but wind up the enterprise. The case we chose: Ruhrkohle AG, a dying coal mining giant in Germany’s Ruhr region, that found a way to shut down responsibly, without leaving behind unmet obligations either to its former workers or the general public. Entrepreneurialism is an ability common to all human beings, but many people are placed in contexts that makes it difficult for this impulse to find expression. This chapter looks at how some of the most bureaucratic organizations imaginable – the Russian Railroad; East German corporations; and the German employment administration – all found new life through re-entrepreneuring. Finally, we spoke with Amitabh Kant, one of India’s most brilliant entrepreneurs despite the fact that he is an Indian civil servant, for his advice on how to drive change within a vast bureaucracy. Usually, re-entrepreneuring involves looking at an existing set of assets in a new way. Some of the time, however, it entails looking at an entirely new part of the value chain — or a new industry altogether. In this chapter, the authors look at Pixar’s evolution from computer company to groundbreaking digital animation studio; at Mannesmann, an old-line German industrial company that made a bold move into cell phones in the 1990s; and WPP, the wire-basket maker that Sir Martin Sorrell transformed into one of the world’s largest advertising firms. A re-entrepreneuring approach can be useful even in an organization that appears to be fundamentally healthy. Re-entrepreneuring can help an organization free itself from the false sense of security sustained by strict adherence to conventions and routines. It’s the right step to take when you realize that what you thought was confidence has deteriorated into a dangerous complacency. In this chapter, the authors look at how Michelin looked beyond tires to find new markets for its expertise in chemistry, and how Toyota and the auto parts maker Denso have worked to keep up with the times through creativity, and finally, at BGI’s unusual evolution from genetic research firm to global genetics powerhouse. One way in which companies learn to handle rapidly evolving markets is by re-entrepreneuring – reconsidering their core values, re-evaluating their position in the current environment, and trying to find an emerging opening in the market the company will be uniquely suited to fill. Maintaining a re-entrepreneuring perspective can serve a kind of gyroscopic function for the firm, keeping the company grounded even as its external environment grows more chaotic. By understanding who you are, you can better see where you need to go. This chapter looks at how two very different companies – Vivo, the Chinese smart phone manufacturer, and Didi Chuxing, a Chinese ride-sharing app – moved ahead by focusing on their core values and principles. A re-entrepreneurial mind-set can help any organization escape those invisible constraints that hold it back it from achieving its true potential. To illustrate, the authors look at how the Dutch Kidney Foundation broke out of its traditional bounds as a not-for-profit organization when it realized that a market failure was inhibiting the development of a portable dialysis machine. One of the key techniques discussed in this chapter is the re-entrepreneuring audit, a radical re-examination of the organization’s core mission and where it might look for new opportunities to fulfill that mission. Often, the opportunity set is much larger than it seems in the beginning. Chapter 9: Don’t ask what tomorrow might hold. Imagine it. Make it happen. This chapter sums up the basic principles of re-entrepreneuring through the example of Oticon, the Danish hearing aid giant. By tracing the company’s managerial structure through different eras, the authors show that re-entrepreneuring often requires adapting a new management style, organizational structure, and reward system – and most of all, a commitment to cultural change that takes the company back to its roots. Although the entrepreneurial spirit is so changeable that it might seem impossible to draw any conclusions about it, the authors found re-entrepreneuring five principles that leaders should keep in mind as they seek to revitalize their organization. Re-entrepreneuring can open new worlds of opportunity. At Roland Berger, that’s something we know firsthand – because we did it ourselves. By taking our own opportunity audit that included thinking about the emerging needs of our clients, we have created a company that we believe can maintain the core of our own values while keeping up to date with the requirements of the global marketplace. A new book from Roland Berger shows how mature companies can bring back the energy of their startup days and achieve a new era of prosperity.